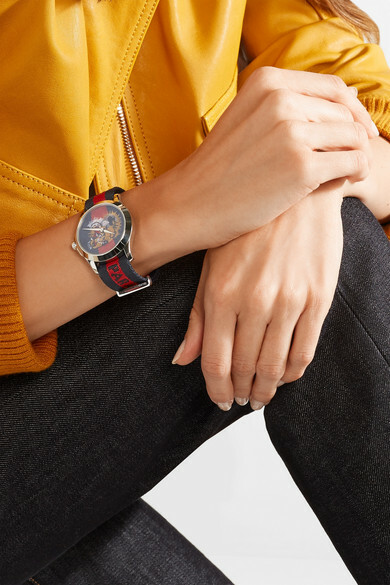 Designed with a number of the house's instantly recognizable codes, Gucci's watch has been expertly made in Switzerland with ETA quartz movement for precise timekeeping. 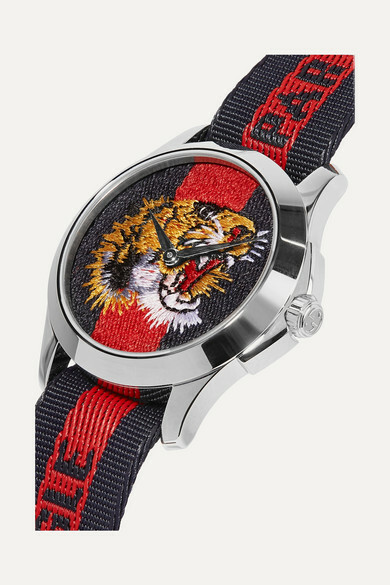 Its face features the roaring tiger head embroidered at the center and is encased in a stainless steel bezel that's discreetly engraved with a bee at the back. 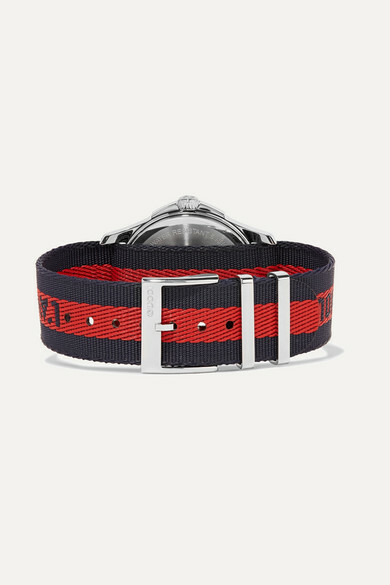 The black and red canvas strap is woven with the phrase 'l'aveugle par amour', meaning "blinded by love". 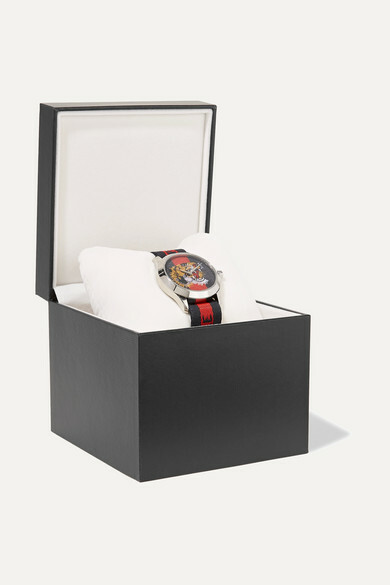 Shown here with: Victoria, Victoria Beckham Jacket, YEAH RIGHT NYC T-Shirt, FRAME Jeans.